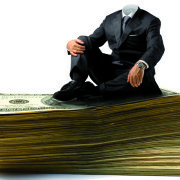 Few business topics capture the public’s interest – and ire – as CEO pay. Indeed, a major reason why executives carried little weight in the Brexit referendum was the belief that they are overpaid crooks. But, does perception actually match reality? The public’s view is largely shaped by what the media reports. And, the media has the incentive to report the most egregious cases – of CEOs being paid millions despite poor performance – because they make for good stories. There might be thousands of cases where pay is fair, which never get reported. This is similar to how views on immigration (another topic misunderstood in the referendum) may be skewed by newspapers only reporting stories of benefit-scrounging immigrants, when there may be millions of others who work hard and pay taxes. Note that I’m not saying that CEO pay is perfect and should be untouched. I’ve argued on multiple occasions, e.g. in the Wall Street Journal and World Economic Forum, that pay should be reformed. But, just like a doctor needs to make an accurate diagnosis before prescribing the remedy, before proposing any reform, we need to start with the facts – what are the areas in most serious need of remedy, and what are the ones that are working well? We want to avoid amputating a limb that’s actually healthy. And the facts highlight that many myths about CEO pay are simply untrue. This myth is based on the view that salaries and bonuses are relatively insensitive to performance. But, changes in salaries and bonuses are only a very small part of the CEO’s overall incentives. The biggest component is her stock and option holdings. Some studies take into account stock and options granted this year, but we must also take into account all stock and options granted in all previous years. What matters is wealth-performance sensitivity, not pay-performance sensitivity – i.e. the sensitivity of the CEO’s entire wealth to performance. As a simple example, Steve Jobs was famously paid $1 a year at Apple, regardless of performance. Does this mean he didn’t care about performance? Clearly not, because he had hundreds of millions of his own wealth invested in the company’s stock. Taking this into account, the median S&P 500 CEO loses $480,000 when the stock price falls by just 1%. Moving to the UK, data from PwC shows that this figure is £85,000 for the median FTSE 100 CEO. It’s smaller, but still substantial, and if anything the comparison might suggest that UK CEOs need more equity compensation, not less as many politicians claim. Sir Vince Cable, the former UK Secretary of State for Business, Innovation, and Skills, has frequently quoted studies claiming that CEOs are not punished for poor performance. But, these studies simply do not measure incentives properly. They only study salaries and bonuses and ignore the CEO’s shareholdings. The myth is that pay is designed by directors who are in the CEO’s pocket, and rubber-stamp egregious packages. Shareholders are too small for directors to listen to them. So, what happens when shareholders can run the show? Evidence shows that, when private equity firms and hedge funds take large stakes in firms, they’re not afraid to make major changes. They improve operating performance, increase innovation, and even fire the CEO in many cases. But they very rarely cut the CEO’s pay. While large investors see many things to fix in a firm, the level of pay doesn’t seem to be one. The myth is based on a well-cited recent study by MSCI which finds that CEOs paid below the median underperform those who pay above the median. Quite apart from correlation not implying causality, the study does not measure equity incentives properly. I describe these issues in further detail here. There are many studies that show that incentives don’t work for many jobs. This is because performance measures only capture one dimension of performance. For example, paying teachers for test results may encourage them to teach-to-the-test. But, none of these studies are on CEOs. For CEOs, there is an all-encompassing performance measure – the stock price. In the long-run (an important caveat), the stock price incorporates almost all CEO actions, including employee satisfaction, customer satisfaction, environmental stewardship, and patent citations. Indeed, a comprehensive study finds that CEOs with high stock ownership outperform those with low share ownership by 4-10% per year. Moreover, further tests suggest that it’s share ownership that causes outperformance, rather than CEOs who predict that their stock will outperform being more willing to accept shares in the first place. Virtually all the debate on CEO pay concerns the level of pay – for example, calls to regulate or disclose the level of CEO pay relative to the level of employee pay. But, this level has very little effect on firm value. 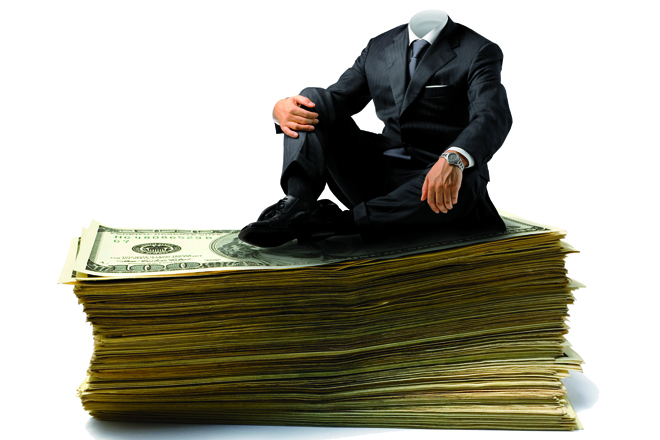 Average CEO pay in the US is $10 million, compared to average firm size of $20 billion. That’s only 0.05% of firm value. Far more important is the horizon of pay – e.g. whether equity vests in the long-run or short-run. For example, high employee satisfaction improves firm value by 2-3%/year, but takes 4-5 years to fully show up in the stock price. Extending the vesting horizon from 3 years to 6 years will encourage CEOs to invest in employee satisfaction. It is better to focus on reforms that create 2-3% of firm value, not 0.05%. (And, employees benefit more from the former also). Indeed, this excellent study shows that lengthening the horizon of equity incentives has a positive causal effect on both firm value and operating performance. The channel is that it leads CEOs to increase both innovation and stakeholder relations. This makes total sense – such investments take a long time to pay off, so only far-sighted CEOs will undertake them. Thus, if we want companies to be more innovative and purposeful, lengthening horizons is much more effective than cutting pay. Rather than bringing CEOs down (by reducing their pay), we want to encourage them to build others up (by increasing their horizon). UK Prime Minister Theresa May advocates moving from advisory say-on-pay to binding say-on-pay. It just sounds tougher. But, a careful study of 11 countries that has found that advisory say-on-pay has proven more effective than binding say-on-pay in both decreasing the level of pay and increasing its sensitivity to performance. Theresa May also suggests putting worker representatives on director boards. But, this has been tried in Germany. Companies with greater representation on employees on the board have significantly lower value. There are clearly many dimensions of the pay debate for which facts don’t apply. For example, whether should be driven by efficiency or equality is a subjective topic about which reasonable people can disagree. And, even given a set of facts, reasonable people can disagree on how to interpret them. But, we should at least start the discussion with facts, rather than myths and hunches. Companies cannot launch a new drug without providing evidence that it’s safe and effective. In contrast, politicians and policymakers feel they can make calls for reform without even attempting it to back it up with evidence. Just as evidence-based medicine has led to vastly superior medical decisions, evidence-based policy can ensure that any reforms we do make benefit society as a whole.